Comprising 3 small islands and all of the west side of the much larger Lookout Island, the Reserve has over 5 kms of shoreline. One of the islands has a number of ancient geological potholes. 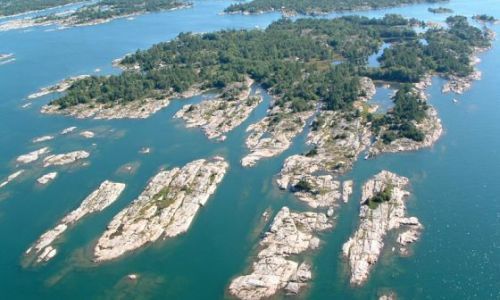 Only a few scattered shoals and islands separate this property from open Georgian Bay, exposing the flora and fauna that inhabit the property to the extreme weather conditions of Georgian Bay. Despite these conditions, the property supports a variety of flora and fauna, including more than 115 plant species. A variety of Georgian Bay’s famous reptiles inhabit this property, due to its high quality open rock barrens and protected wetlands.